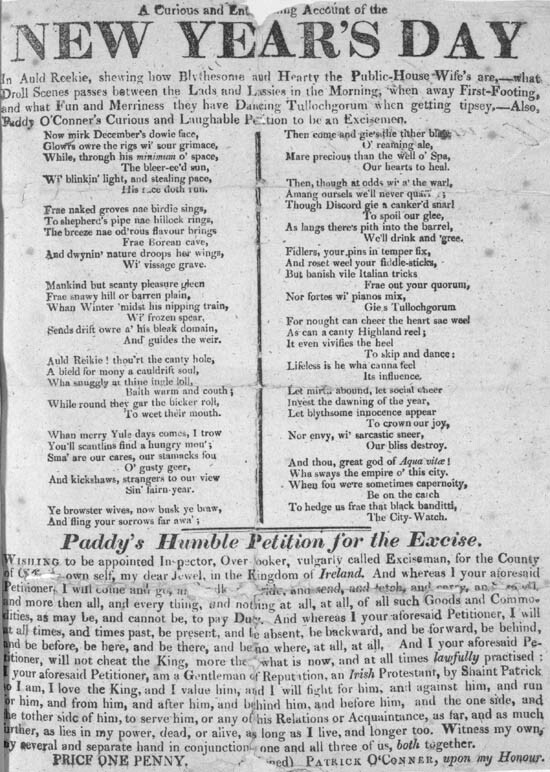 Paddy O' Conner's Curious and Laughable Petition to be an Excisemen. And thou, great god of Aqua vit? ! Wha sways the empire o' this city. Paddy's Humble Petition for the Excise. my Several and separate hand in conjunctions one and all three of us, both together. PRICE ONE PENNY. Signed PATRICK O'CONNER, upon my Honour.